Dirty, dull plastics ruin the look of a bike. 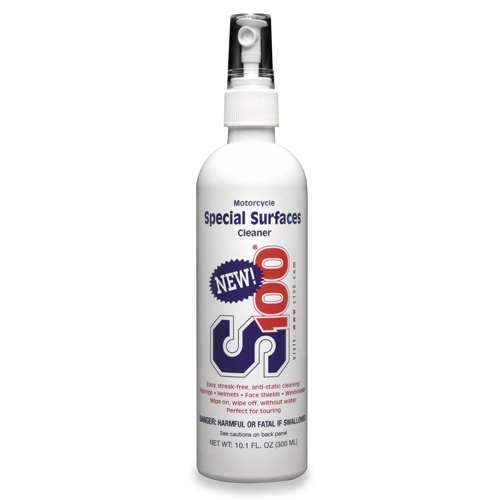 S100 Special Surfaces Cleaner is a waterless spray-on, wipe off cleaner that cleans up fairings, helmets, visors, instruments and windshields in seconds. 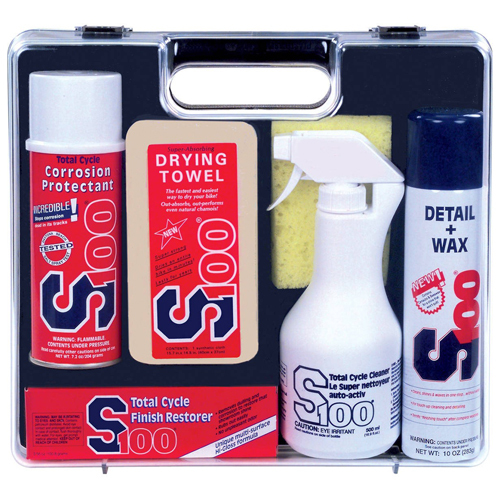 Bugs, rain spots and road film disappear instantly leaving nothing but a nice clear surface! 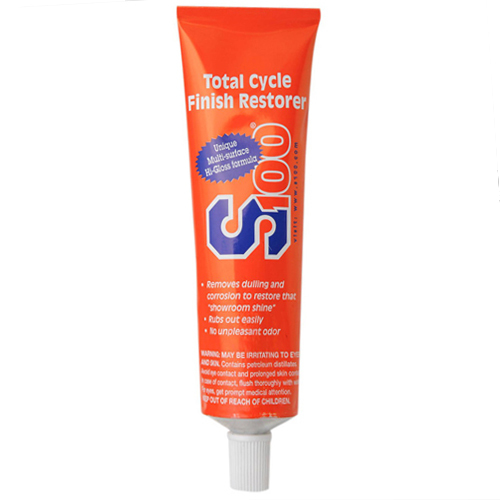 Here’s what some bikers said: “…used on my helmet visor…it appears so clear it seemed like I didn’t have my visor down”. 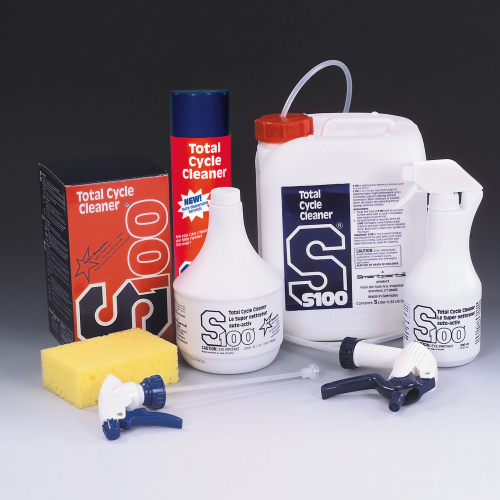 “I was amazed how it gave back life to the cover on the speed and tach gauges.” Safe for use on polycarbonate and acrylics such as Lexan®, Lucite®, Plexiglas®, fiberglass, etc. Perfect to take along in the saddlebag.